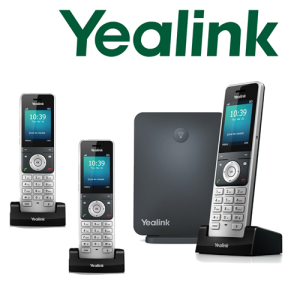 Yealink s a global leading provider of unified communication & collaboration solutions. Focusing on research and development, Yealink also insists on innovation and creation. With the outstanding technical patents of cloud computing , audio, video and image processing technology, Yealink has built up a panoramic collaboration solution of audio and video conferencing by merging its cloud services with a series of endpoints products. As one of the best providers in more than 140 countries and regions including the US, the UK and Australia, Yealink ranks No.1 in the global market share of SIP phone shipments. 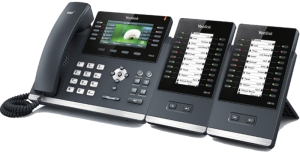 Enterprise IP Phones The Yealink T4 series is intended for discerning users with very high expectations of IP phones. It has been designed specifically for people who take great satisfaction in experiencing excellence actually being delivered. Advanced technical design, the T4 series also offers extra-large display screens that make pen and paper redundant in the busy office environment. 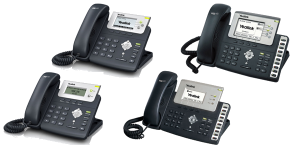 Small Business IP Phones The Yealink IP Phone T2 series represent the next generation of VoIP phones specifically designed for business users who need rich telephony features, a friendly user-interface and superb voice quality. T2 series offers high-definition voice quality through HD handset, HD speaker and HD codec (G.722). The large, high-resolution graphical display, combined with up to 48 keys, guarantees an excellent user experience in terms of configuration options, making calls and access to the express XML browse.